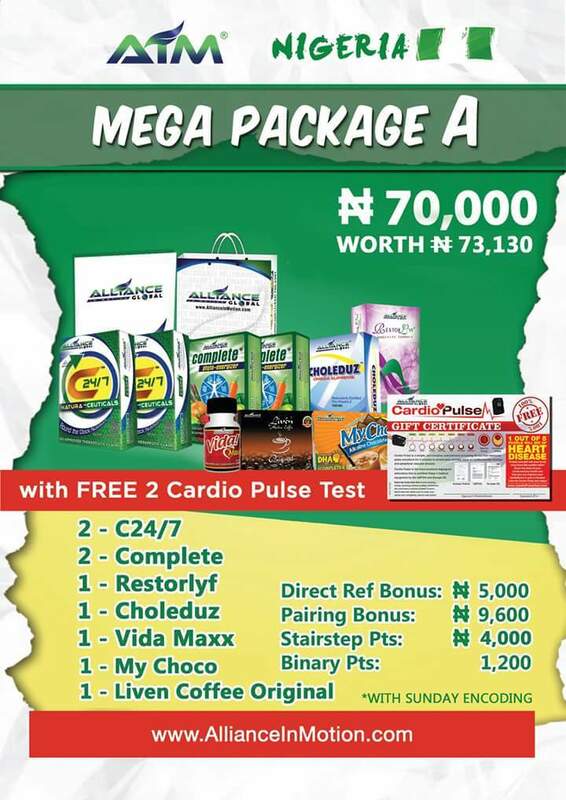 Global MEGA Package – Alliance in Motion Global Nigeria - AIM Global Inc. Your own account in AIM Global computer system that monitors all your and your group’s successful sales transactions. Order will be processed for shipping upon verification of payment. Kindly expect the products within 24 hours for local delivery and 5-10 days for international orders. If you haven’t done so, please fill-up this FORM after purchasing this membership package.